Robert Branch, Coordinator of the Constitution Reform Advisory Committee stated that at least 9 civil society organisations have received funding from the United Nations Development Programme to assist with constitution reform public education. “The Organisations are to go through the country and engage in public education. Their main focus is to explain the Bills to the people, not to push for a particular point of view of yes or no on those bills,” Branch disclosed during a Post-Cabinet briefing. He explained that the ultimate goal of the civil society organisations’ education process, is for the Grenadian people to participate in the process and to understand the Bills. Without disclosing the amount of funding received, the Organisations named by Branch as receiving money are: The Grenada National Organization of Women; the Grenada Bar Association; the St Mark’s Development Organisation, the T A Marryshow Community College; the St Andrew’s Development Organisation; North West Development Authority; the Grenada Human Rights Institute; the Carriacou Athletics Committee, and GrenCHAP. 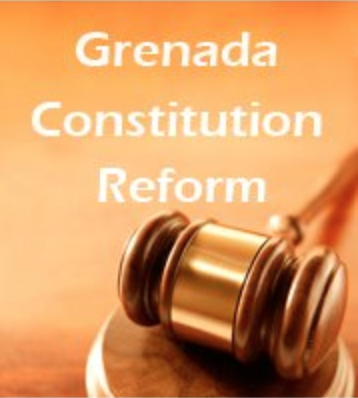 The Grenada Bar Association outlined a number of its activities. In a news release the Bar said, that it is committed to ensuring that when Grenadians vote on Referendum Day (27 October 2016), that it would have done its part in helping citizens understand the Bills they are voting for and the implications. “The GBA members will be part of a public education drive working with other Civil Society organisations (CSOs) in islandwide public education activities sponsored by the UNDP. The GBA, facilitated by its Law Reform and Law Revision Committee and its Secretariat will assist with the coordination of public education on constitution reform with sponsorship from the UNDP,” said the release which confirmed that the Bar will also share its legal expertise and resources with other CSOs engaged in the constitution reform process. The GBA’s constitutional experts and attorneys will lead a Symposium on Wednesday, 14 September 2016, at the Public Workers Union for Bar and CSO members, to discuss several topical issues on the constitution Bills to be voted on by Grenadians. The GBA will share hard copies of the gazetted bills at public places and make these bills, fact sheets available on its web site and Facebook page. Other activities include providing a Constitution Hotline service from 10 October 2016, staffed by Bar volunteer lawyers, who will share with citizens, focused responses on constitutional issues for which they need clarification.